"Any truth is better than indefinite doubt." I've been cranking out reviews and filler posts on a semi-regular basis for over four years and received around a dozen offers over that period to accept review copies, which I all turned down. The kind gestures from these publishers were appreciated, but you'll need a smooth talking conman to even make me consider touching a contemporary thriller or something reeking of neo-noir. Last week, a new and independent publisher, Dean Street Press, was kind enough to send me two e-books that fitted this niche corner perfectly, The Studio Crime (1929) and Dead Man's Quarry (1930) by Ianthe Jerrold, which feature an introduction by Curt Evans – who's still far ahead of me on this trail of obscurity. 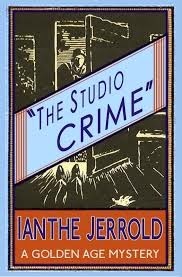 The synopsis and introduction for The Studio Crime is what grabbed my attention and immediately tossed it on the top of the pile. I did "see certain resemblances to Golden Age murder master John Dickson Carr" in the plot summery. How could I resist? 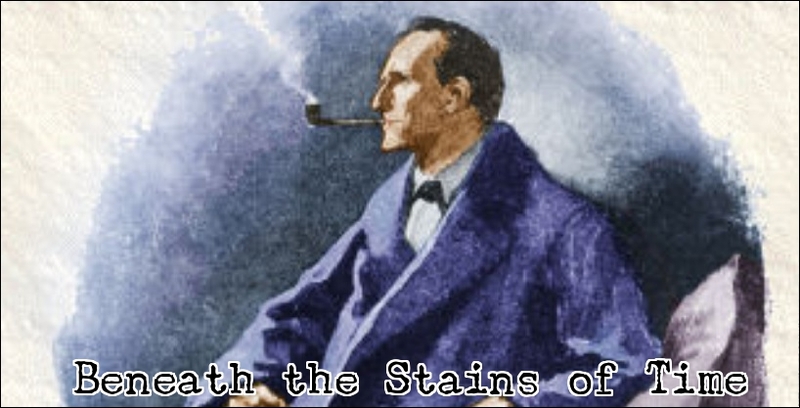 The Studio Crime begins on "a foggy night," as a small party is gathering in the lower floor, studio apartment of Laurence Newtree, where the thick fog inspires the guests to discuss murder and the psychology of its perpetrators. One of them remarks, "it's a bad night for most things," but "a good night for crime." Someone agreed. Gordon Frew is the upstairs neighbor of Newtree, a collector of oriental rugs and bronze statues, who expected the party to drop by later that evening, but doesn't respond to their knocking. The tightly closed front door is partially demolished to discover Frew slumped over his writing table, garbed in a dressing gown, with a brass knife-handle protruding from between his shoulder blades. There is a back window, wide open, with a drop of several feet on top of a sloping roof of an outhouse, which throws the concept of a locked room mystery out of the window. However, I'll get back to this point in a moment. "I am afraid my methods are not what Hembrow would call sound. The sound detective collects facts and deduces his theory from them. I prefer to create a theory out of the broad characteristics of the case, and then test the facts to see if they support my theory. If they don't, of course the theory falls to ground; and if no other rises from the ruins to take its place, I have to give the affair up as hopeless." Well, there's an abundance of odd characteristics and seemingly conflicting facts to build multiple theories around, which should keep any armchair detective as occupied as Christmas. First of all, there were the peculiar encounters in the fog with a mysterious man in a fez. You have to wonder if this aspect of the plot influenced John Dickson Carr when he wrote The Arabian Nights Murder (1936) and The Punch and Judy Murders (1937). Secondly, there's a large network of hidden, cross-relationship between the victim and many of the suspects, from a ghost writer to the owners of a rundown antique shop, surrounded with a smorgasbord of 1920s tropes: wills, pieces of papers, lost handkerchief, etc. However, Jerrold's writing and characterization lifted The Studio Crime well above the average detective yarn from that period, but I just have one problem with the solution – which has to do with the locked front door. Mild spoilers ahead! The final twist implies the murder of Gordon Frew was an impossible crime, but it was never explained how one of the people involved was able to walk out of the studio and leave the door locked from the inside. I read the book over several days and thought I might have missed or forgotten something, went back and forth. Searched for keywords and reread some parts, but I can’t find it. The door was definitely locked from the inside and it was Christmas who opened it: "...Christmas who, with his arm through the door, turned the key in the lock with a sharp click." So how did that one person manage to leave the room and leave the key on the inside of the door in lock-position? I encountered a similar problem with Kay Cleaver Strahan's Footprints (1929), which was well written and characterized with an intriguing problem, but the final revelation lacked an explanation for the impossible component of the plot. And they were both published in the same year! Well, let's end this lukewarm review here, but I'll get back Dead Man's Quarry before long and that one doesn't include an impossible crime for me to get disappointed over, if it isn't properly handled. "Someone had only to ask them how a man might be murdered inside a locked room, or how many words could be anagrammed from PEORIA, or whatever, and they had to find out the answer. They were possessed, if you like, by demons of problem-solving. The majority could only shake their heads at the time-wasting foolishness of it all." There's a string of filler-posts in the archived section, The Muniment Room, collecting instances of that much-maligned plot-device, The Locked Room, invading our normal, everyday world with its insanity. I managed to churn out five parts, before running out of examples. You can read them here: I, II, III, IV and V.
Well, I recently stumbled across a gem of a story, involving an apparent traveler from a parallel universe and an impossible disappearance from a locked-and guarded hotel room, but everything seems to indicate it's just another urban legend – which was reportedly written down as an anecdote in Into Thin Air: People Who Disappear (1979) by Paul Begg. The premise was also too good to be true, because it read as a plot outline for a hitherto unknown, lost manuscript of a third Thackeray Phin novel. The account of the incident may vary from one telling to another and the background details are vague, but here's the main gist of the story. 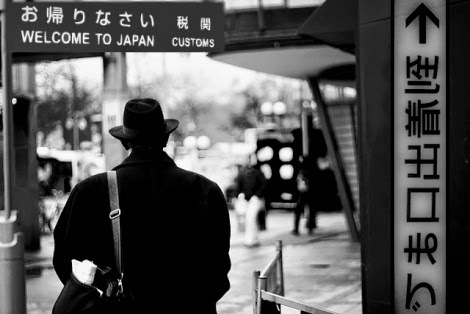 Somewhere in the hot, sweltering summer of 1954, a bearded businessman from Europe arrived at Haneda Airport, Tokyo, which was a common commute for the man as he spoke fluent Japanese – among other languages. There was nothing uncommon about the man, but that changed the moment custom officials took a peek at his documents. The man was from a non-existent country named Taured, situated on the border between France and Spain, but the man's passport looked legit and "normal" – as it showed visa stamps proving he had traveled to various countries across the globe. However, the company he was having a meeting with had never heard of him and neither had the hotel he had booked a room at. Naturally, the man was convinced he was being the subject of an elaborate hoax and claimed Taured had existed for a thousand years, but our maps only showed the tiny Principality of Andorra where the man's home country was supposed to be. The custom officials detained the man in a nearby hotel in a top floor room and stationed a pair of immigration officers in front of the door, but when they enter the room on the following morning the man has vanished – alongside his personal documents from police custody! There were only two possible exists in the room: a window with a hundred feet drop and a door that was locked from the outside and guarded. There you have a potential premise for an impossible crime novel and I'm convinced it was started by a frequent flyer from the 1950s, who killed time on the plane by reading detective-and SF stories. 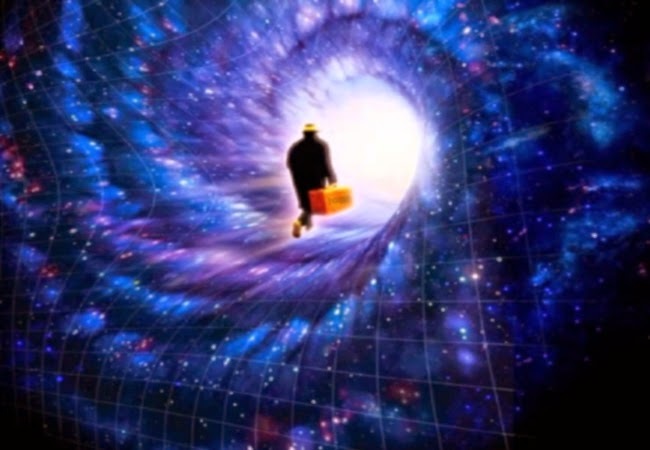 However, that still doesn't give us a rational answer as to how an inter-dimensional traveler could've disappeared from a locked and guarded hotel room. So I came up with two possible solutions for you to pick from, but they have one weakness: they depend on a conspiracy with a small gang of accomplishes to pull it off, which might even be a government agency. Who knows. It was the Cold War. That would be the only explanation I could offer for the disappearance of the Taured documents from police custody. First of all, the explanation for the country of Taured and the official-looking documents remains the same in either scenario. The preposterous story in combination with properly stamped papers from an alternative time-line was meant to throw custom officials of their routine, which prevented the man from being properly processed. Technically, the man hadn't broken any laws, because all of his travel documents seemed in order. Just not for this particular strand of reality. Now there are two possible ways the escape from the hotel room could've worked, but they aren't exactly elegant and lean heavily on accomplishes buzzing around in-and outside of the hotel. But that's because I only have some sketchy, surface details to work with. Scenario 1: the man was locked in a hotel room on the top floor with a hundred feet drop beneath the windowsill. There were (apparently) no balconies on that side of the hotel and bare of any narrow side-ledges. However, a platform for window cleaners can move freely, up and down, without attracting any suspicion. One or two accomplishes lower the platform to the window of the occupied room and whisk away the traveler. They take the service elevator to the garage, while the man is probably hiding inside a laundry basket or donned the window cleaners uniform with sunglasses – never to be seen or heard from again as they sped away in an unmarked van. I don't know if the window was found latched from the inside, but a piece of strong, thin thread could do the trick. Or another (sinister) accomplish, such as one of the immigration officers, could've locked the window when he was pretending to inspect it – after discovering the hotel room empty. Scenario 2: this scenario takes some gross liberties with the story and presumes a lot, but, again, I have very little to work with here. The first presumption is that the staff of the hotel is involved in the conspiracy to get that man out of custody. The second presumption is that there is a change of the guards halfway through the night. The third presumption is that the first two guards were tired and a little careless in handing over the guard. Let's assume the hotel manager (imagine a Japanese version of Basil Fawlty) has been breaking his head how to get that man out of the hotel, before the proper authorities get involved, when halfway through the night a fresh pair of officers appear to relieve the first two and, before he knows it, blurs out they're guarding room E-11 – instead of E-12. The manager accompanies them to the floor, while chatting with them to keep their attention occupied, and when the elevator door opens one of the guards immediately comes towards them. It was the guard standing on the right side of the door of E-12, left side of room E-13, while the one the right side of E-12 remained in his position. The fresh guards didn't notice the original position of the guard and simply assumed stood guard on the left side of E-11. The second pair of officers was now guarding an empty hotel room. After the change of guards, the manager immediately called room E-12 to explain the situation to the traveler and that he would come up presently with an early breakfast. The guards wouldn't be suspicious about a guest having an early breakfast and they hear the voice from E-12 speaking fluent Japanese, while they were guarding some crazy European. The breakfast is brought to the room by the manager on a covered trolley, which would serve as a temporary hiding place for the traveler – while being wheeled pass the guards next door. Guards would hear the knock of the manager being answered in Japanese and the manager humbly apologizing for the delay. While they hear this typical, mundane hotel scene, the manager serves a dirty plate and used cup of coffee as the traveler worms himself inside the trolley. So in case they checked that room, they found traces of a one-night guest who probably had an early flight. This way the phantom guest who never checked in and the phantom guest who never checked out are actually one and the same person. Well, that's the best I could muster. Hopefully, I have made the ghosts of John Dickson Carr and Agatha Christie proud. Anyhow, I've rambled on long enough. I'll be back before long with a regular review. P.S. : You can find many versions of this story by searching for "the man from Taured." "They're queer-looking things... some of 'em look like sea-monsters that haven't grown up." 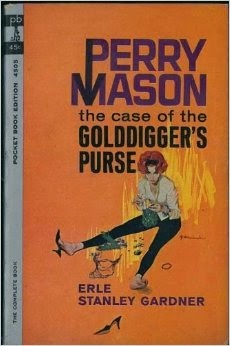 The Case of the Gold-digger's Purse (1942) is the twenty-sixth entry in Erle Stanley Gardner's Perry Mason series and the opening of the story enmeshed the cunning defense-attorney in a tangle of extortion, theft and murder – which began with a seemingly uninteresting and innocent consultation on gold fish. Harrington Faulkner is in the real-estate business, where he amassed a king's ransom, but only cultivated a single passion to spend his dollars on: breeding gold fish. Faulkner raised a particular strain of Veiltail Moor Telescopes, a gold fish completely cloaked in funeral black and often referred to as the "Fish of Death," but this school of rare fish are suffering from a deadly decease known as gill fever. A young, poor chemist and pet shop employee, Tom Gridley, developed a formula that cures gill fever. However, Gridley is suffering from tuberculoses and should take a break from work to recover, but he can't afford to leave his job and now his beautiful girlfriend, Sally Madison, is extorting thousands of dollars from Faulkner – in exchange for the formula. A gold-digging extortionist and a bout of gill fever aren't the only plagues pestering the aquarist. Faulkner has had a fall-out with his business partner, Elmer Carson, who slapped a restraining order on Faulkner, which forbids him from removing the aquarium and its content from their shared office. Mason is reluctant to get involved, but curiosity keeps getting the best of him until he and Della Street are in legitimate danger of becoming accessories after the fact in the murder of Harrington Faulkner. It begins when the office is burgled and the aquarium looted, which gives Mason an opportunity to make some astute deduction about the soup ladle, the pole it was mounted on and the size of the room. By the way, the theft was briefly teased as a locked room mystery. The gold fish are eventually found, alongside Faulkner's body, on the bloodstained bathroom floor of his home and Mason's typical, almost routine manipulation in murder cases has now dug him a hole for two. One of the most attractive aspects of the Perry Mason series, as an unabashed neo-classicist, is how densely plotted each novel is. There's barely any fat on the bone, so to speak. The multitude of cross-and hidden relationships and the motives that drives those relationships are often complex, which is exactly the case here, but there's also the physical evidence and how you can play around with that. There's a missing bullet from a previous murder attempt on Faulkner, a half dead gold fish that could indicate the time of death, fooling around with fingerprints and cheque stubs – and the titular purse stuffed with damning evidence. Mason has to play a tight game of bluff poker and live up to his name as a courtroom magician in a preliminary hearing to prevent a murder trial for the wrong person. The courtroom chapters tended to drag on a bit, but you can't blame craftsmen, Gardner and Mason, for taking the time to work their magic. In short: a good mystery from a solid series. Hopefully, the next review/blog-post will be substantially better written than this one.